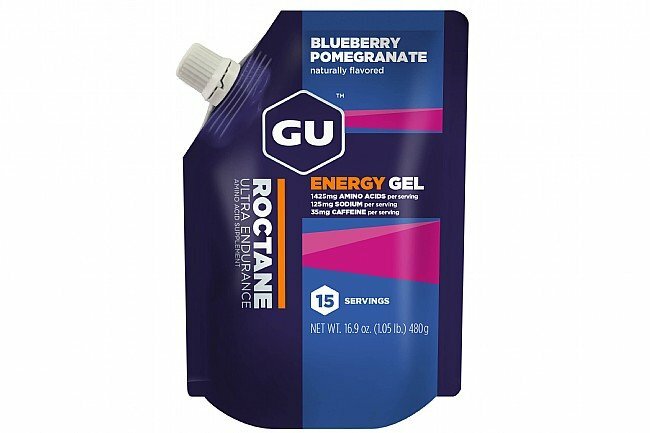 GU has taken their original energy gel to a higher power with Roctane, and now it can be purchased in this 15-serving pouch for use with GU's Gel Flask to add convenience and reduce waste on long rides. Roctane starts with the original GU formula and boosts it with more sodium for better hydration and more branched chain amino acids to increase mental stamina and decrease muscle breakdown. 100 calories and 35 mg of caffeine per serving. Take one serving 15 minutes before exercise and then every 30-45 minutes during activity with water.